Generators are paid according to the electricity that arrives rather than what they produce at the plant. (Seems fair). This is called the Marginal Loss Factor (MLF). Ideally they’d get paid for an MLF of 1.0 or higher (which means paid for every MWh or potentially even more if they are based in an area where there is a lot of demand and not many generators). Loss factors range from 0.8 up to 1.2, though most of them are close to 1.000. But this year there are losses across the board and only a few gains. An MLF below 1.0 is bad news for generators. In the extreme case of Silverton, the marginal loss factor fell from 1.0 to 0.79 which means they only get paid for 79% of what they produce. One fifth of the energy generated is not getting to where it is needed and won’t get paid for. Karadoc Solar Farm dropped from 0.94 to 0.78. These are some of the biggest falls. The big inescapable problem for unreliable generators is that they need acres of land which makes it expensive to build them near the demand. There were some big falls last year (as in North Queensland for 2018 which was particularly bad). This gives us some idea of how the trend is “breaking new ground”. Alas I don’t think there are graphs for the 2019 projections yet. Hard to believe but as our grid capacity grows and load stays largely the same, the marginal loss factors are increasing. Really. The draft Marginal Loss Factors report was released on March 8. The final one comes out on April 1. The AEMO says that the year-on-year changes to the MLF are high and they are considering proposals to change the way they are calculated, and other ways to make the system “more manageable” for generators. But these rules have been rules for years — smart planners should have allowed for the possibility that rampant subsidies and religious fervour would mean too many new renewables in the one spot, and when the wind stops on one, it stops on the neighbours too. The MLFs are having a greater impact on wind and solar farms because many are being built away from load centres, and the “open access” regime means the local grid struggles to transport the new capacity and some project developers might not know – at the time of construction – what else might be built nearby. “As more generation is connected to electrically weak areas of the network that are remote from the regional reference node, then the MLFs in these areas will continue to decline,” AEMO says in its MLF draft documentation. Last year, falls in marginal loss factors of 20 per cent or more were imposed on some projects as a result of grid congestion, or changes to load. That has the potential to dramatically alter the economics of a project, affecting equity owners and lenders alike. The worst-affected regions this year and last year are north Queensland, south-western and western NSW and north-west Victoria, known now as the “rhombus of regret” – so named because of the shape of the grid and because of the sheer number of projects built and proposed for the area, and the grid limitations. In NSW, these include three projects owned by Neoen – the new 150MW Colleambally solar farm (down from 1.01 to 0.88), the Griffith solar farm (1.06 to 0.92), and the Parkes solar farm (1.06 to 0.92) – and AGL’s Silverton wind farm (1.0 to 0.79) and Broken Hill solar farm (0.97 to 0.72). But remember this is another inefficiency hitting non-renewables to some extent too. No joy for anyone with a stupid system and a broken market. The MLF is a key calculation because it can make or break a power project. It reflects how much of a power plant’s output at source arrives at destination (load) and is credited for payment. Many solar and wind farm operators contacted by RenewEconomy say the latest downgrades – of up to 20 per cent in some instances, and more than 5 per cent in many cases – will have a major impact on the industry. Developers say that some existing projects may face equity calls or refinancing demands from lenders because of the anticipated fall in revenue. Other projects that are not yet developed, or yet to get finance, may find themselves stalled at the gate. “Some projects won’t go ahead,” said the head of one international developer. Some [developers] have been completely blindsided, in certain instances by poor modelling done internally or by consultants, and in other cases because they were simply unaware of the scale of impact, or the number of other projects competing for space in the same part of the grid. The data is all in the AEMO latest draft. If anyone feels like graphing the fall in the MLF per state or region it might be interesting. However the latest report only has last years data and the projections. Other years are at the AEMO link. It would be quite a bit of work. Changes between the 2018-19 MLFs and the 2019-20 MLFs are mainly due to changes in projected power flow over the transmission network. The key driver for these changes is a large increase in generation connections to the NEM, particularly in Victoria, New South Wales and Queensland. The modelling for the 2019-20 MLFs includes 47 new connections providing approx. 5,600 MW of new capacity. As more generation is connected to electrically weak areas of the network that are remote from the regional reference node, then the MLFs in these areas will continue to decline. When will politicians stop the subsidies? The growth is becoming carnivorous. What do they do? They mainstream a bunch of antique technologies guaranteed to be high cost, high impact, resource-greedy, import-dependent, unreliable, diffuse, intermittent and feeble. To improve the image they call these relics “renewables” and group them with an old technology, hydro, that has some mainstream use. For laughs, they incinerate anything that grows, is discarded or is exuded by a ferment and call all that “renewable” too. Then they express surprise when distances prove a problem on a continent about which “The Tyranny of Distance” was written. I say they knew it was all a turkey from the get-go. Renewables were too-failed-to-fail from their very inception. It was like clobbering the Titanic with an iceberg before it was launched. Jo replies: But you are too kind. Most of the renewables-fans can’t add it all up and still don’t see what’s coming. Free is *!Free! * and dollars are only numbers! Ben Skinner at the Australian Energy Council has provided this article explaining some of the underlying logic for how MLFs are calculated and why they are used. “Treatment of Loss Factors in the National Electricity Market” from 1st July 2012 … paying particular attention to sections 4 and 5. “Forward-Looking Transmission Loss Factors” from 8th February 2017 … see section 5. Is it permissible to say “Diddums” or “Oh dear, what a pity” ? I laughed. “Greed is its own reward” came to mind. It couldn’t happen to a nicer bunch of speculators! It’s not going to hit the speculators, it means more “gold-plating” for the transmission grid, which (by existing agreement) will be paid for from our bills. Think about it: they declare that emissions have to be reduced and new tech implemented. I say they knew it was all a turkey from the get-go. Renewables were too-failed-to-fail from their very inception. It was like clobbering the Titanic with an iceberg before it was launched. They knew it and they were not surprised and are not surprised. Now new green governments in red packaging are about to replace current green governments in blue packaging and they are going to finish the job. They don’t know why. Someone tells them. Not us. We just vote. And exemplifies the reasons why I like this blog so much. There are intelligent, grounded people here!!! Add to the post. Ta! But you are too kind. Most of the renewables-fans can’t add it all up and still don’t see what’s coming. Free is *!Free! * and dollars are only numbers! I steer clear of any renewable or ethical investments as they are so tied to governments dishing out taxpayer cash that could be cut at any time. So do I Gerry. So do I. No doubt the blame game will now start and state governments (ie: taxpayers) will need to cough up more money to upgrade transmission lines to remote desert regions inhabited by a handful of people. I remember that stupid comment well – “gold plating” or simply making a grid partially destroyed by unreliable power surges and exceedingly unnecessary long transmission distances as stable as they can given the damage caused ? And now these same clowns think they can reduce our trivial global emissions by 45% and achieve 100% renewable electricity supply in 11 years ? Wait for power rationing because it is surely coming as well as stiff increases in petrol prices – how long after the next election is the only question. Love the Snowy 2 model – consider it as an economic model – you give me a million and when you need it I’ll give you 1/2 back but you must give me another million when you have some to spare on the same terms. We’d all invest in that wouldn’t we ? As a result of the “Your Rights at Work” posters that went on the top of power polls all round the country in the 2007 election campaign the union movement (ETU particularly) was rewarded with the network “gold plating”. Occupational Health and Safety was significantly upgraded and more workers added (paddlepop girls and boys for example) so that to do the same work per day as before more than twice as many people had to be employed. In my area the gold plating included replacing the connections from power pole to residences and in my case even though the connection was only 9 years old. I suspect productivity has continued to decline in this sector of the economy because these workers spend most of the day at smoko or on their mobile phones. The truths of EE 101 come home to roost. Isn’t Reality “An Inconvenient Truth”? Simples just subsidise the losses and charge consumers the extra to pay for it which will put downward pressure on prices because as we know renewables are cheaper ! When large power consumers, such as department stores, start announcing they are shuttering their businesses, laying off all their staff and closing — because it’s become too expensive to make a profit — do you think anyone will listen? But it’s all OK, there are all the on-line stores … Well, yes, but how many of those are in foreign parts? ChiefIO found $100.00 postage for an air mail letter — one sheet of paper in one envelope — from California to the UK, too expensive … Parcels from the UK to overseas destinations all carry a CO2 extra charge. A small paper-back book from California to NZ cost me $35.00. I’m reviewing all my shopping now. Local retail has always been too high and now the overseas sources have also passed my `economical’ threshold. I’m just shutting my wallet. Woolworth have announced they are closing dozens of Big W stores. I would bet a pound to a penny that these huge stores are spending a king’s ransom on power which is helping to lead to their “unprofitable” status. Without having read all the post I suspect that this is about the difference in payment that the producer might have expected at the point of production and the real clincher, The Point of Use. Ha ha ha ha ha. Is this reality striking? I think Jo, you might have mentioned that these loss factors represent real losses, so remembering that a solar panel only produces an energy surplus of around 20% over its life (not taking into account mounting hardware and transmission lines and a dozen other factors) which can provide a CO2 saving so this means that any SOLAR farm with a loss factor greater than 0.83 is adding to CO2 emissions based on the panels lifecycle alone and therefore should not be eligible for subsidies. 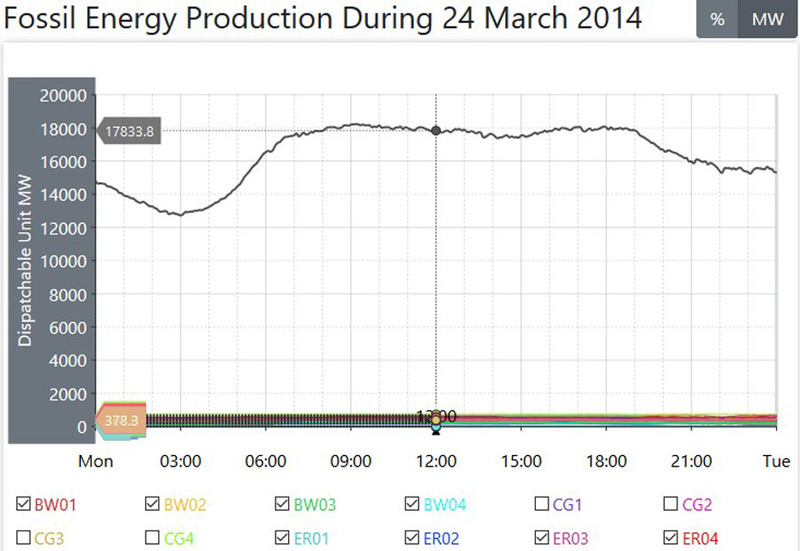 Sorry, loss factor LESS THAN 0.83, so AGL’s farm is adding to CO2 just on the lifecycle of the panels…. I suspect – and I’m hoping for confirmation — that what this really shows is that if solar panels work to 15% of their capacity and a few of them (not most) then get a marginal loss of 0.8 we would say those particular “farms” are working at 0.15*0.83 = 0.125 effective capacity. i.e. they don’t produce much and this makes it even smaller. i assume you mean “solar farms” rather than domestic roof top installations. A oood proportion of domestic roof top solar panel power is used on site. The functionality of renewables, i.e. WIND and SOLAR, has always been “assumed” because of the association with Nature. The reality is that compared with coal fired power generators they are both linked to high levels of real pollution and high CO2 output per kWh of electricity generated. Their EcoVirtue is mythological, not real. Yes, but as has been pointed out Solar farms produce in a sine wave (based on the angle to the sun). The effective Yield is only around 20% of the day. But the peak is 1.414 times the average over the hours of sunlight (much worse over 24 hours). This means that at peak the losses are higher than this average. In my opinion they should probably be penalised on their peak losses, because the tails at either end of the day are really useless for generation. Most of the yield occurs over 4 hours (3 hours in winter). My guess though is that the AEMO probably uses a network model which should be able to predict losses pretty accurately. It may not take into account the shape of the generation though which might underestimate actual losses. And yes, Capacity factor and Loss are orthogonal. So that means that solar farms at loss factors of 0.83 are working at only 12.5% of nameplate. Who would have thunk it! Peter, engineers have known that since they started building solar subsidy troughs for the pigs investors to gobble from. These are all predictable if time base modelling is carried out rather than just using averages. A good solar plant has an unrestrained capacity factor around 20%. That means a 100MW solar plant will average 20MW (480MWh/day). The line losses at steady 20MW work out at say 3% (0.6MW); equating to 14.4MWh/day. This is only one of the “minor” details that gets overlooked when the modelling is done by people in need of a clue. Intermittents are yet to hit 10% of NEM market share and the weaknesses in the primitive modelling are beginning to show up. There will be many more “surprises” by the time they get to 30%. If you had not already worked it out – grid supplied electricity PRICES ARE GOING UPPP! A different approach is:State-of-the-art of hosting capacity in modern power systems with distributed generation. In short: transmission infrastructure needs beefing up to handle renewables in larger amounts….the hidden costs continue. Line losses are nuanced issue. It depends on where the unreliable power is injected: Secondary distribution (most likely. 380-415 V) or primary transmission ( 11 kV and up ). If injected at the distribution lines (lower voltage) then the losses have to include transformer core losses as well in addition to the resistive losses. If injected at the higher voltages, then the corona losses and transformer losses must be included. The I2R losses on the transmission lines will depend on what the design power transfer capacity of the transmission line happens to be, and, can approach 20% or more if the line is being loaded beyond its design capacity. Your point raises another issue: If overdesigned transmission lines are necessary to transmit the additional power being injected, (1) was that ever planned for (2) who paid for it, (3) the Utility isn’t being paid for “wheeling” the injected power, etc. IE, the renewables are not reimbursing the Utility for the use of the system and “nobody rides for free”. And, the thermal plants being throttled back to accomodate the renewable injection, are losing the overhead portion of the power they are not being allowed to sell, which raises the rate for what power they are allowed to sell. This is a perversion of the intent of the guaranteed rate of return that was the basis of the Utility in the first place. The operating cost penalty of the thermal plants is being absorbed by the customers when it ought be allocated to the renewables crowd. IOW, some fraction of the subsidy being paid to the renewables ought be paid to the utility companies to offset their investment, maintenance, repair, and spares costs. In the US, that cost is some 6 cents/kwh or more. Another way to look at this would be that renewable energy only offsets the fuel cost at a thermal plant and that is all they ought be allowed to be paid for their sporadic contribution to the load. This assumes sufficient thermal capacity exists, which it doesn’t because AU Govt shut down many thermal generators. Because reliable capacity does not exist, the battery and diesel generator issue has arisen. The costs of the gensets and batteries ought be fully allocated to the renewables crowd as their non-dispatchable and unreliable power has caused the need for those expenses. If people fully understood what a complete “cluster fluck” this is, they might be angry. As it is, they are ignorant (willfully so or otherwise). Pity the populace won’t be able to “claw back” the pensions and salaries of those who legislated this fiasco into being. I have to say, Lance, that it is great to have someone with such knowledge as you have of the electrical supply system, contributing to the JoNova forum. The embedded photos in this article show everything from a single circuit 3-wire 3-phase tower to a 24-wire 2-circuits 3-phase tower (four wires per phase). Increasing a circuit’s power capacity by restringing is standard practice. Further power capacity increases need a second line of towers which are also shown in the embedded photos. The I^2.R losses on a wire cause the wire’s temperature to rise. It is the wire sag from the rising wire temperatures that can be the primary limit on power capacity. There is therefore a summer power limit and a different winter limit. If you tried to put the maximum power capacity of a four-wires-per-phase down a single-wire phase, the current in the wire would increase by a factor of four and the power loss would increase by a factor of sixteen. The bottom of the wire sag curve would be getting close to the ground! The correct response to the falling MLF factors is restringing; there are other reinforcements but it all costs serious money. Lance the long draft list of changes to the MLF lists the voltage of lines. Silverton Wind feeds into a 220kV system. I think these are the four lowest values. I searched for “0.7″ to find them. But of course the political reality is that neither McMorrison nor Shortonone personally knows how much they pay for electricity since their personal assistants handle that stuff. They wouldn’t be aware that many corner stores and other electricity dependent businesses, like Woolworths, find a trebling of electricity costs over the last four years too much to handle. Politics is such an insulated pastime: until reality collapses back on everyone. So all credit to you for wading through it to find this gem of a story. A side note : I just read through all the comments and gave a green thumb to every comment ! This issue has had a somewhat sobering mood to the comments at Reneweconomy. The blame game is in early stages. I stuck the boot in. I have been through the weaknesses in the Finkel (Jacobs Group) and AEMO ISP modelling, where everything is based on averages, at Renew a few times but no one there has a clue. This is a minor issue compared to what will emerge as market share of intermittent is pushed higher. Later this year Queensland will see the emergence of lunchtime power that will hit the grid scale solar in the hip pocket; either stop producing or send money out with the power exported. This is with less than 10% market share for intermittent in the NEM. Hold on, this is waiting to be approved by RenewEconomy. Who could have predicted this! – Anyone who had a clue about an electric power system and modelled it on actual generation data rather than on averages based on capacity factors. This demonstrates one of the many weaknesses in AEMO’s ISP. Line losses are a function of the square of the power flow. A 100MW solar farm working at average CF of 20% might incur line losses of 3%. However that average is achieved with something closer to a peak 100MW in a sine wave or a flattish sine wave. At the peak of 100MW the line losses will be 25 times greater than the average of 20MW. Over a typical daily output from a solar farm the line losses are about 4X that of a steady generator to deliver the same energy; meaning 3% steady becomes 12% with typical daily output pattern. Intermittents have not yet achieved 10% market share in the NEM and the primitive modelling is already being seen for what it is – useless. Lunchtime power will be the next “surprise”. No grid scale intermittent will be wanting to be billed for the energy they send out at lunchtime but that will be the case; stop generating or send money with the energy export. Think of what that will do to their capacity factor when they cannot export at the peak of their potential output. The one certainty – GRID SUPPLIED ELECTRICITY PRICES ARE GOING UPPP! If you own a roof then make your own. Get into the government largesse before they wake up to the fact that the grid is no longer an economic entity. I note this comment is being held back. I have had a run in with Giles in the past with him removing my comments so it may not make it. I caught him out because a subsequent poster referred to my comment so he had to restore it but it was out of sequence. That’s par for the course treatment on RenewEconomy once you start edging too close to the truth in a manner that can be understood by laymen. I’ve given up posting there for that reason. I believe AndyG55 started posting there and lasted a day before being banned so Giles can be pushed too far. Rick, can you explain “lunchtime power” a bit? Sounds like it makes solar worse than worthless. How refreshing. I believe Rick means to say that solar power supply “peaks” at solar noon, or “lunchtime”. This is when the subsidized solar power is affecting the grid and the thermal synchronous power plants to the greatest degree. When the thermal plants would be making full baseload power and would be paid their full rate of compensation for maintaining the grid and components, they are throttled back to “make room” for the solar power input, thus harming their financial viability. In a “fair” market, the renewable solar providers ought to have to “bid” firm energy contracts into the grid for contractually guaranteed power so that the thermal generators can plan for an orderly diminution of power. Since that isn’t the case (I’m reading between Rick’s lines here) the solar providers hold an unwarranted favored position. Excess power over what was contracted for ought be penalized because it otherwise penalizes the thermal plants. The short version is that the thermal plants are left “holding the bag” when solar providers cannot meet their obligations and also when they exceed their projections. This is in no way “fair” to the thermal plants. If the solar providers had to limit their supplies to a contracted amount, the apparent capacity factor of the solar providers would go down and make them look worse than they already do look. As it is, the wind and solar providers “force” their energy into the grid even when it isn’t needed and cause financial harm to the utility operated thermal plants. 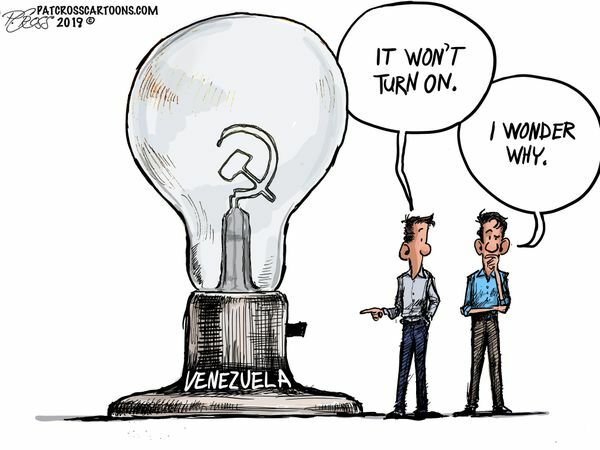 In a similar way, the renewable providers are “held harmless” when they fail to provide the expected power and the thermal plants are obligated to make up the difference or the ratepayers have to fund diesel generators, batteries, and gas turbine peaking plants to respond to shortages. The costs of this unstable grid management are borne by the customers/ratepayers/businesses/jobs/industry who have to put up with financing 2 sources of power for the supply they used to get at a lower price and a higher reliability. Because of this politically motivated power grid mismanagement, the price of electricity is, of necessity, going up. The populace is held hostage and extorted enormous sums of money and opportunity for essentially no net gain of any sort, except of course if one believes that offsetting some 0.04 Deg C in 100 years is worth this herculean effort. In the meantime, the ones who profit are the politicians and special renewable interests. The ones paying for this farce are the people. If my conjecture is incorrect, apologies offered. Rick is the judge of that. Rooftop solar power, solar plant power, and wind power have no effect whatsoever on what coal fired power is delivering. There’s no way I could just say this (just put it out there) and have people believe it, so then, let’s actually back it up with some images of actual power generation from coal fired power. These two images are for the total output from coal fired power across the whole 24 hour period. They are on similar dates in Mid March. The first is from March 24th 2014 five years ago, and the second is from yesterday March 18th 2019. In 2014, Hazelwood (Victoria) and Northern (SouthAus) were both still operational, so there was an extra 2400MW of coal fired power back in 2014 than there is now. In 2014 there was a Nameplate for wind power of 2224MW, and now, in 2019 there is a Nameplate of 5661MW, so now we have 2014 multiplied by 2.5. In 2014 solar plant power was virtually non existent, and now there is a Nameplate of 2530MW. In 2014, Rooftop solar power was in its infancy, and now there is a Nameplate of 8000MW plus. Look closely now at the coal fired power graph for 2014. I have the pointer over the Midday point in time, and at that time, if you look at the far left of the graph, you can see the total output at that time for coal fired power is 17833MW. Now look closely at the coal fired power graph for 2019, and again, the pointer is hovering over Midday, and the total output from coal fired power is 17779MW. So, in 2019. with 2400MW LESS coal fired power, the difference is ….. 50MW. The power output at Midday is all but the same. Across the whole 24 hour period coal fired power delivered more on this day in 2019 than it did in 2014. At Midday in 2019, we have solar plant power at its highest, and that’s around 1300MW. At Midday in 2019, we have rooftop solar power at its highest, around 4400MW. As to wind, the average for that is (30% of Nameplate) around 1700MW, sometimes higher and sometimes lower at Midday. So, with those three renewables, at Midday we have a total of 7400MW extra power. And yet coal fired power is virtually the same output. I haven’t cherry picked just this one day. It’s yesterday. It’s around the same EVERY day. We are getting MORE output from LESS coal fired power, and those three renewables are having no effect whatsoever on the output from coal fired power. Tony, if wind and solar have increased substantially since 2014, and coal has not declined, presumably that means that gas and hydro have been cutback? Coal generation has declined but through closure rather than throttling – Playford, Northern, Hazelwood are all gone with Liddell to join them. Gas has usage ramped up to fill the void and it is gas that is throttled up and down, aided by hydro, to balance supply vs demand as renewables cut in and out as they will. I think thats what Tony has said previously. Coal chugs along, renewables come and go and vary, gas and hydro adjust. But have we reached the point of no return, where coal must be cutback with the next 5 GW of intermittents? It is a reflection of demand. You will note that the prices through the middle of the day is falling. Last July was the first time power prices went negative at midday in Queensland. It will become a common occurrence as more grid scale solar is connected and the installation of rooftop solar continues. The prices go negative to force generators to reduce output. It is expensive to ramp coal plant and it can only be done economically at a certain rate so the coal will hang in and accept the negative prices for an hour or more. The grid scale intermittents will hang in until the price is more negative than the value of the LGCs. LGCs are coming down in price so anything less than -$40/MWh will hurt them now. I expect Queensland will experience regular voluntary curtailment of intermittent output in the cooler months of 2019 because of the growing capacity of connected solar, both large scale and rooftop. Eventually curtailment, either voluntarily due to negative prices or forced due to stability issues, will have a huge impact on the economics of grid scale wind and solar. Rooftop solar has the highest scheduling priority. Its only control is system over voltage. Once that is occurring regularly, the State governments will cop flack from owners of rooftop solar and that powerful lobby will force governments to put heat on the distributors to manage the rooftop generation better. The distributors were clearly forecasting this eventuality in their submissions to thew ISP. On a daily basis, coal ramps down, then up, then down slightly, then up, and then back down, doing that through a range of between 3000MW and 4500MW, every day. It has done that for at least the eleven years plus I have been watching, no change, all the time, so ramping couldn’t be too costly. Some plants have a constant output, but on a whole fleet wide basis, that’s what happens. And when you’re making millions a day from your coal fired plant, a little bit of price curtailment is neither here nor there, and you only need look at the AEMO RRP for wholesale power cost per MWH to see that they make money. And none of that rooftop solar gets back to real grid usage anyway, and that’s obvious from looking at those Load Curves. The only time its generating substantial power is around that Midday period, and coal fired power is not changing. The only change is in Hydro and natural gas fired power. I can only go on what the data says, and surely the data does not lie. but Jo the Snowy Mountains Hydro electric system can to some extent just reduce their power generation until later on when demand is higher. The water is still there waiting to be sent down the pipes to the turbines. Whereas solar has to use the sun to generate power when the sun shines. Ditto for wind. So there is a major difference between Hydro, and Solar/Wind..
And as I have said to Tony from Oz many times, Hydro is NOT a renewable power source. Once the water has gone down the pipes and through the turbines, it is gone – unless one is willing to waste power pumping it back up again. Bill, it wasn’t me who decided Snowy Hydro and the gas plants got lower MLFs. I’m just reporting what the AEMO did. I’ve never called Hydro and unreliable. :- ) Unless it’s a drought of course. More aptly described as a “corrupt market”. Makes me wonder about the large Solar farm approved for Winton and very close to the Winton substation which is Fed by power from Snowy Hydro . Are you s suggesting that there might be collusion to “piggyback” for free? Thats just for all the EVs doing track days at Winton. The NSW Minister for Energy and Utilities, Don Harwin, is a full-on green zealot; big fan of Finkel; best mate of Michael Photios the NSW Lib power broker/renewables advocate. He is on a crusade to hook up every worthless solar and wind scheme to the grid, regardless of how far off-grid it is. He has stated that only 1 in 20 renewables projects can currently connect to the grid and he finds that outrageous. After he has his way, NSW will be criss-crossed with pointless transmission lines. Surely some discreet voting in a couple of weeks could see him humbled ? If one must have a Greenist why not the true bottled Greenist instead of Liberal Greenist ? Isn’t it odd how electrical engineering principles always get the better of financial modelling. Haven’t you ever wondered why the ‘most important’ commentators when it comes to wind and solar power are always financial advisors. Reality is just … so … so … pig-headed! Here’s a project that won’t have any transmission losses — because it hasn’t got any transmission lines at last report. The windfarm is planned but as yet there is no provision of how to get the power from offshore to VIC. I’ m referring to the Star of the South offshore windfarm development which is soon to infest an area slightly NE of Wilsons promontory, pretty much off Lakes Entrance, 10 to 25 km out to sea. It appears to be west of the East Gippsland Marine Park and will sit right over the Basslink Cable. So it isn’t exactly in the Roaring 40s, and even if it were, we know how the King Island wind fiasco turned out, so no prizes there. This monstrosity will cost $8 billion, have a nameplate of 2,000 MW, with 250 turbines (so 8MW turbines — big b@stards) covering an area of 574km2. It will “generate 8000-gigawatt hours of energy annually, enough to power 1.2 million homes, and account for nearly 20 per cent of Victoria’s energy demand,” so they say, dependent upon how much pixie dust is blowin’ in the wind. You clever electrical engineering types can do the realistic, alternative calculations there. It aims to begin energy generation as early as 2024. “When placed in the right wind conditions like those off the coast of Gippsland, offshore wind delivers a high, consistent flow of electricity” — which should make it a novelty among wind farms. If its promoters think they will be able to splice into Basslink below them on the cheap, they might be disappointed. I’m sure the engineers that run Basslink won’t mind having 2,000MW dumped randomly into their cable especially since it now has a reduced capacity of around 500MW after it burnt out, and also a new 5 minute polarity reversal “rest period” requirement before the DC current can be reversed. Wonder how the turbines will handle east coast lows? Even if the towers stand, will the blades be ripped off? It should make for some interesting maintenance issues. I also wonder what effect all that pulsing infrasound conducted down into the water and the seabed will have on the bi-annual whale migration through that area? Where are the greenies with placards now? An HVDC substation costs around 190 Million Euros as compared to a HV AC substation at around 60 Million Euros. It makes a difference if the HVDC is a single or double conductor system. Single conductor systems use the earth as a return path, which has the nuisance quality of coupling to buried pipelines and accelerating corrosion on those piping systems. Oh joy. HVDC does reduce line losses by 4% or so. But is only cost effective at voltages of 500 kV to 1000 kV. Very expensive components at those voltages. The Basslink engineers might have a few things to say about dithering with their original design and to enormous costs involved. Wow, a 45% capacity factor. But $8 billion investment for average 913 MW generation, less delivery losses. That’s $8.76/MW. Compare that with Ararat wind farm, cost $450 million for average 72 MW, or $6.25 million/MW. and here is Labour in the UK demanding nuclear! Anybody in the UK with planning permission can build an on-shore wind farm. They just won’t get any subsidy. Installations have stoped – surprise!!!! The figures speak for themselves. Bailey pledges to reverse what she calls the Government’s ‘cancellations’ of new nuclear projects (Moorside, Oldbury, Wylfa) (factcheck; it was the developers who cancelled them despite being promised tens of billions of state aid). If these projects are brought on line (in addition to the existing Sizewell B and still-not-cancelled projects of Hinkley C and Sizewell C) then nuclear generation will climb to at least 35 per cent of current generation – and even that does not count the Chinese led project at Bradwell. I really hate to say this, but because the Tories have actually (so far) stopped short of the financial insanities involved in getting all of the projected new more nuclear power stations online and are thus leaving some space for new renewable energy schemes, there is actually a plausible argument to say that now, compared to Labour’s new policy position the Conservative Party policy actually favours renewable energy more than Labour! 16 Mar: Sierra Club: Can 100 Percent Renewable Energy Cope With a Polar Vortex? Sierra asked energy experts about how a 100 percent renewable grid could cope with extreme weather such as we experienced in January. In general, they agreed, we’ll do just fine—as long as we’re properly prepared. Renewable technology needs to become hardier. At present, as temperatures rise, solar panels become less efficient. Batteries are also susceptible to heat and store less power when too hot. Wind turbines cannot operate below minus 22ºF (minus 30ºC), even when equipped with de-icing technology. To remain comfortable in the extreme weather events of the future, we need to invest in research to make panels and turbines more resilient. For Iceland, it helps to have plentiful Hydro and Geothermal energy, in fact over 99%, because of its favorable geography and geology. So Jacobson’s statement is rubbish to use Iceland as an example. Especially as they only need electricity for about 300,000 people. John, you really are a spoil sport – why ruin his preaching with a reality check – shame on you!! Mr Jacobsen needs to do some basic Economics re comparative advantage. Yes , certain things are entirely doable and practical in Iceland, Norway and to some extent in NZ. That does not make them scaleable, practical or doable for the rest of the world. Ahhh. Reality is such a beautiful thing. Many may try to ignore it and some may benefit initially. Yet, the longer reality is ignored, the more the costs pile up. Eventually, the piper will play and the price will be paid in full and with devastating interest added to the bill. Interestingly, it will be noticed that it was nothing but a complicated Ponzi Scheme in which only the early players could cash in. If the game continues, the pyramid becomes unstable and collapses in ruin. The only justice that gets served is that many of the early players continue with the game and get caught in the collapse. Everyone else is merely worse off. Some worse off than others. The thing that appears to be free is often the most expensive thing anyone can buy. In the long run, there is no such thing as a free lunch. Play by the rules or die by the rules. There is no middle ground. I bet there are staff at the Collinsville solar farm who just wash the panels all day due to the dust buildup. Meanwhile, there’s a mothballed power station where you can throw the coal from the mine into the furnace! When a free market tends to monopoly, one ‘solution’ is the regulated monopoly. Like all compromises it has problems. But when folk with socialist tendencies tout what they call a “market” our antenna should be up. “You knew I was a snake when you invited me in”. There is a realistic social benfit to cost-effective, universally available, ultra-reliable energy. Like other so-called ‘natural monopolies, the argument quickly resolves to ‘government control’ vs. ‘some other system that provides universal service with the benefits of free market competition”. We should not pretend that this is not a challenging problem. There is an inherent inefficiency in government run affairs. But the problem here is not inefficiency. It’s the tendence of government to lose track of the fundamental priority (cost-effective, universally available, ultra-reliable energy) and substitute a variety of other goals, that can compromise or even negate the primary goal. Investor owned utilities, to the degreee they can resist, at least try not to compromise the grid, and when their fundamental business is truly threatened can put up very serious resistance, and provide a counterpoint. Private companies can’t really stand failure. Governments fail all the time, with thousands of programs that don’t meet their objectives, yet they thrive. They seem to be failing here. Losses on the Renewables side could be influential depending on power transmitted, distance, voltage, etc. Transmission Line Losses, based on a 1000 kM length, are approximately 3.3-3.66 % resistive losses and approx. 3.3% corona losses for a total of approx. 6.6% to 6.9% loss of the transmitted power. Interesting paper with info on losses, costs, HV AC and HV DC. Be very afraid: The latest estimates from the Clean Energy Council report that there are currently $20 billion of wind and solar farms either under construction or about to start because they have reached financial close. This represents some 80 wind and solar farms with some 14.6 gigawatts of capacity – far beyond that which is required under the mandated renewable energy target. At midday and peak wind, that could add 10 GW to the grid, about 50% of total demand, and on average deliver 3.5 GW or an extra 15% of demand. And of course on occasion deliver only 0.1 GW. So an extra $20 billion in the pipeline that will be seeking a return on investment through our power bills, but all other generators must remain available to meet peak demand when wind and solar deliver zilch, nada, diddly-squat. The CER describes this as “a golden age for energy” as they start campaigning for the coming election. But it gets worse. Try to imagine the added investment required in the grid to manage peak intermittent generation – and that’s not just poles and wires, it’s transformers, controllers, sensors, and then additional maintenance costs. It’s time AEMO changed the rules beyond simply derating the MLFs. No intermittent “renewable” should be allowed to connect to the grid unless it can supply dispatchable power. That means for example that the Ararat wind farm, nameplate capacity 240 MW, capital cost $450 Million, average generation 72 MW, must contract to supply 72 MW 24/7. The Ararat investors must therefore be required to either curtail excess generation or add batteries to absorb excess generation, and/or add gas generators to produce the committed power when the wind doesn’t blow. In addition, the additional grid costs to deliver this power should be paid for by the wind investors, without any subsidies. All I can do is repeat myself: the fix is in and the money men are in full control of government. Inevitably there will be overreach, on the face of it we’re already there, and big losses which will be far beyond the capacity of electricity consumers to absorb. We can only pray that the momentum killing losses supervene before the programmed destruction of our coal fired power stations is too far advanced. These are fraught times for those of us conscious of the impending catastrophe. Forty years ago I’d have said “they won’t will they?” but experience since has proved time and again that they will so there’s no wishful thinking left in me. OT and wow , the ABC have started a fight with Sky News and among the claims are that after dark commentators are right wing . Plus many more all right wing hate speech activists ? She wants a better job at the ABC, not just a liaison officer at Sky in Canberra. Could be staking the ground for a worker’s compensation case based on the emotional distress forced upon her. Just looked at AEMO’s discussion of “Marginal Loss Factor”. They only mention resistive losses. The extremely long power lines will also have inductive and capacitive losses even at 50 HZ. Energy is radiated. I’m not sure how significant this is. Perhaps Tony from Oz can clarify this. I have worked in areas of HF radiation and you could walk around the building carrying a fluorescent tube and it would be glowing (not sure what that has done to our bodies). I have been told by those who have worked on high voltage power lines that a fluoro tube will do the same thing if in close proximity to those high voltage power lines. If this is true then it represents power loss via radiation. There is almost no loss from radiated power in normal circumstances due to the wavelength for a 50Hz EM wave. It does become an issue over extremely long distances (and in a conductive medium like seawater) which is why HVDC is used in these circumstances. The interconnection of the grid along Australia’s east coast does approach the ~6000m quarter wavelength for 50Hz but power does not flow along that distance else there would be massive stability issues which would be of far greater concern than any radiative losses. If it were an issue of any significance, Ben would have mentioned it. Sort of double posted as I tried to correct the 6000m to 6000km while it was posting. And in any case that’s the wavelength, not the quarter wavelength for 50Hz. So the 1500km quarter wavelength distance is exceeded in the Eastern Australian (AEMO) grid but there is no power flow of any significance along any length approaching that distance. This is one of the tasks that the grid engineers have to do to keep the grid stable and why our grid engineers are amongst the world’s best. The rest of my post content stands – radiative losses are not an issue. The interconnection of the grid along Australia’s east coast does approach the ~6000km quarter wavelength for 50Hz but power does not flow along that distance else there would be massive stability issues which would be of far greater concern than any radiative losses. They must have had greenies in the 1700s. Yes, I always park my 4WD in the shed for Earth Hour. Is there any actual saving? Yes, the Greens save money for advertising. All the news agencies promote their agenda for free. And so dies the copper plate network assumption used by renewables advocates to discount transmission costs. Who would have thought that transmission lines, substations, transformers etc to remote, sparsely populated regions would have been rated for supplying the local load rather than sending humungous, occasional amounts of power in the reverse directions? What about all the complaints from the renewables advocates over the “gold plating” of the grid when it suits them for residential PV? Benski is a guy with his head screwed on straight (although he was a bit CP when I questioned him about the SA blackout on the night of 28/09/2016) and his article on MLF should be read by everyone with any interest in electricity supply. Can someone PLEASE provide PRECISE guidelines as to what will get a post put into moderation? Usually it’s a word that offends word press but sometimes it’s a word that has been included into this sites filter . Some words don’t seem offensive in any way but may be included in the filter because of a link to the host etc . I’ve found words in a link quite often get me into moderation. All comments in moderation are looked at and either approved and posted or you will get an edited version with an explanation but sometimes there will be no explanation and no repost . So any ideas what my original post would have contained that put it into moderation? A FAQ explaining the moderation triggers would be seriously helpful. Sorry been out all day but looking at your post I personally can’t see any offending words but let’s try three words that could upset WordPress . On your own with that it must just have been a random thing . 1. No I can’t see any trigger words. 2. The wordpress comments are also put through a filter that “learns” to spot spam. I have no idea what would set that off. It prevents 90% of comments from being posted and incredibly, it’s rarely wrong. There seriously are 10 spam comments for every good one. 3. Sorry, I don’t publish lists of the words I put on the filter list, which would defeat the purpose and could be gamed. But it wouldn’t have helped in this case anyhow. This must have been an auto filter. Apologies. I know it’s a pain. I’ll send you an email. Ever see the movie “Aliens”? Standby for howls of protest, how can they penalise “saving the planet”? More subsidies incoming!! Not sure if this has been mentioned but you get what you get due to distance its called the skin effect. The ac will travel on the outside of the conductor, it gets hot and you get losses simple as that. In theory yiu could use a higher grade material than aluminium but the costs would be exhorbinate. Skin effect is negligible for 50Hz. Otherwise, we would have steel cables with a thick aluminium jacket being used for power transmission operating as a waveguide rather than a conductor. Why would this be a surprise? It was noted years ago that some UK wind farms in Scotland were so far from where the power was actually needed that all they were doing was warming up the wires.